Introducing LANAP – gum surgery without scalpel or stitches. Approximately 75% of American adults over age 35 have periodontal disease, and until now, the only cure was surgical treatment that was very painful, invasive and time consuming – and often resulting in exposed roots, an unappealing smile and slow healing. 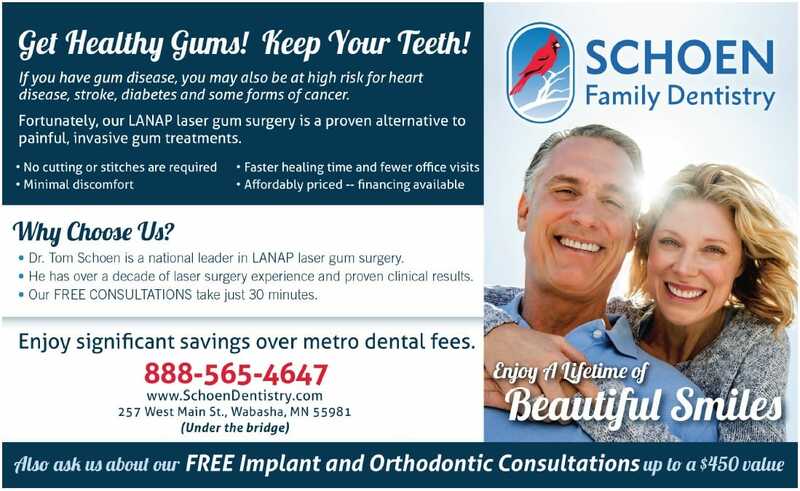 Dr. Tom Schoen is one of just two dentists in Minnesota to be fully trained and licensed to perform Laser Assisted New Attachment Procedure (LANAP) – an amazing breakthrough that offers significantly-improved results in less time and with minimal discomfort – and you get to keep your smile! Feel free to contact us for more information and a complimentary consultation.